At the time of this article’s release, the Boston Celtics will have played 81 of their 82 regular season games and most likely been slotted into fourth place of the eastern conference playoff bracket. Now the question every Bostonian has is parallel: How far will the Celtics go? As many Boston faithful can remember, the Celtics made it to game seven of the Eastern Conference Finals last year without two of their three highest paid players- Gordon Hayward and Kyrie Irving. 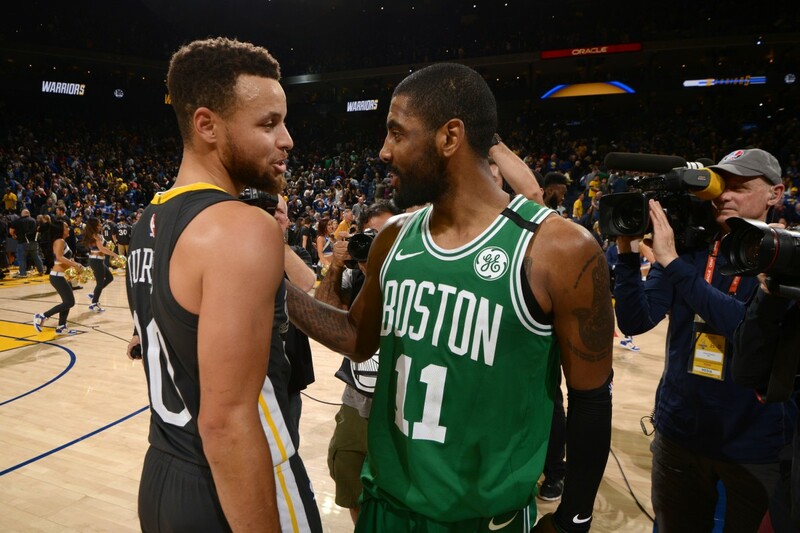 Both superstars were injured; Hayward was lost in game one of the 2017 regular season from a horrendous ankle injury, and Irving dealt with a knee problem that sidelined him. Beginning the 2018-2019 season, the outlook for the Celtics looked superb. They had just made two back-to-back conference finals appearances; Lebron James had left for greener pastures in Los Angeles, and Boston looked to reign supreme in the east. Don’t believe it? Just look at what Celtics guard Jaylen Brown had to say before the start of the season. Fast forward to early April, and the Celtics are barely beating out a Victor Oladipo-less Indiana Pacers for fourth place in an improved eastern conference. The Milwaukee Bucks have taken not only the best record in the conference but the entire NBA. The Toronto Raptors upgraded their star guard DeMar Derozan for superstar small forward Kawhi Leonard; while, the Philadelphia 76ers added star guard Jimmy Butler to their core. So do the Celtics have a legitimate shot? Yes sir! Why you ask? What in the world have the Bucks or 76ers done to convince fans that they are going to the NBA Finals? The Bucks may have the soon-to-be NBA Most Valuable Player in Giannis Antetokounmpo, but they have not won a playoff series in over fifteen years. The 76ers, for some reason, crumble against the Celtics in recent playoff matchups. Now that leaves one last team the Celtics may have to go through- the Toronto Raptors. Led by two-way superstar Leonard, the Raptors are the biggest obstacle for the Celtics to reach their first NBA Finals appearance since 2010. The duo has split the season series and won their respective home games. When the Celtics play in Boston, they win. When the Celtics play in Toronto, they lose. Expect nothing different in the playoffs. With no Lebron James in the east, the Raptors look poised to finally take that next step in the organization’s development. Prediction: The Boston Celtics lose game seven in Toronto and fall to the Raptors in the Eastern Conference Finals. Most fans are hoping the playoffs answer the questions they’ve been asking all year: Is this team good enough? Are they better off without Irving? Does Boston trade the young core for Anthony Davis? Are the Celtics better positioned to continue with their youthful rebuild? This league is run by superstars, and Danny Ainge, general manager of the Boston Celtics, will do whatever it takes to acquire them. The only man with the answers has and always will be superstar point guard Kyrie Andrew Irving.